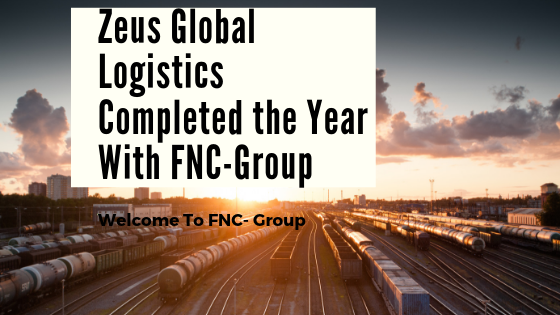 Zeus Global Logistics Pty Ltd.Completed The Year With FNC- Group. With over 71 years’ experience, the Zeus Global Logistics Pty Ltd. team having been honing their skills in international logistics. We remain true to our principles of dedication to our customers and providing a 100% reliable service. Zeus is located at Sylvania , Australia. Zeus Global Logistics is Certified in Custom Broker And IATA. Zeus Global leads the way. We deliver efficient, reliable services around the globe and across the country. with an unmatched dedication to our customers and passion for service. When you need freight and logistics services, no matter what is involved, you can rely on Zeus Global. The team at Zeus Global are committed to providing an industry-leading level of service to their clients. You’ll see this present in everything we do, from providing dedicated customer support to extensive tracking/reporting and accessibility during your freight and logistics movements. Zeus Global Logistics is the member of FNC- Group Since March,2018. Mr. John Lenzo is the Key Contact Person Of Zeus.